The CCFA made the right decision about the venue for the final but if the gossip is right, maybe not the right choice of referee. Don't know why they rebranded themselves as AFC St Austell. Why not rename St Austell Town as that's what most people call them. Hope the real Town win on Tuesday. That’s very harsh. 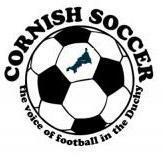 Shaun has made big improvements and was the top marked Cornish official by clubs and observers. Blimey! complaining about the referee before he's even reffed it. I think that's a first for the forum. He better be perfect like all the players and spectators then. Like everything on this forum it's all based on opinion. He took a lot of grief so I'm told and rightly booked some players for it. But after awarding a St Austell free kick, he guessed where the wall should go. When Goldsworthy paced the ten steps out (about three paces closer to the goal) shouldn't that have been a booking? Town were complaining and the free kick crashed into the wall but ultimately resulted in a goal. I've seen him before and think he's a good, fair referee. I haven't seen who the Senior Cup officials are but personally would like to see Jon Harris get a call. One of the best SWPL assistants and a great referee below that. I agree! And some ridiculous decisions by the officials, the penalty situation was a joke! Did you actually go to the match Whistle Blower - you used the words '''so I'm told''' - if you didn't go, what you've said is hearsay ? How much of what you said is accurate ? I trust my source. He said the referee took a lot of grief which happens in almost every game nowadays. He also allowed Goldsworthy to pace out the wall which proved it wasn't ten yards. Yet when Joe Corrigan pointed out that the penalty spot wasn't where the referee had placed the ball and he placed it out, he was booked. As I said I've seen the referee before and he does most things by the book.